The navigation camera on NASA's Mars Exploration Rover Opportunity took images during the rover's 285th martian day (Nov. 11, 2004) that are combined into this panorama. Opportunity had reached the base of " Burns Cliff,"a portion of the inner wall of " Endurance Crater. 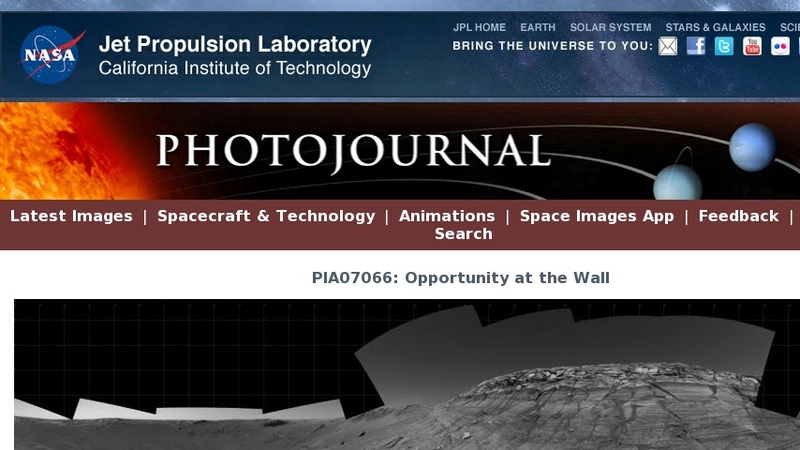 "This view shows rock layers in the wall, with a portion of Opportunity's solar array visible at the bottom right.